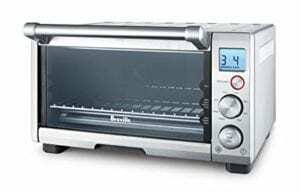 FeastHome Reviews – Are you searching for the best toaster oven that is also able to make steam vegetables or beef jerky? Don’t worry, today’s toaster oven has a lot more features than just toasting your bread. Many have a larger capacity and more abilities as well. 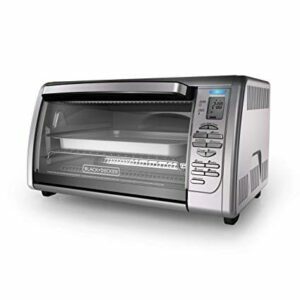 If you need a toaster oven in your kitchen, you should know that you’ll be faced with countless options available. As a result, you’ll need to consider some factors including how much space you have and what kind of features you want to get in order to get the right one. Instead of taking much time on browsing and comparing one product to another, here I’ve compiled a few most recommended toaster ovens available in the market. Read on to learn all about my top picks! If you’re searching for a toaster oven which can do more than cook bread to excellence, you should look no further than the Breville Smart Oven Pro. It employs a new cooking technology to automatically regulate its heating method. Besides, it offers a larger interior, making it enough to cook everything from pizza to cookies. When it comes to pizza, you can even toast a 13” pizza in it. It provides a bunch of convenient features including auto-eject rack and non-stick coating. It has a convection feature too. 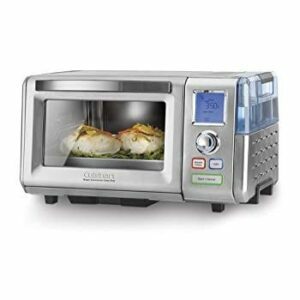 The Cuisinart Chef’s Convection toaster oven is uncomplicated to use, has adequate settings, bakes evenly, and comes with useful accessories such as baking racks, baking pans, and pizza stone. If you need the best toaster oven that can bake properly, you should look any further than this Cuisinart’s toaster oven. Its big capacity allows you to hold a 13” pizza, nine slices of bread, and even a whole chicken. It comes in 15 cooking functions, is easy to operate, and comes with helpful additional accessories. It’s a bit expensive and takes up your counter space. It is the second appearance of Breville on the list. Thanks to the user-friendliness, the Breville BOV450XL Mini Smart is considered as the most recommended toaster oven for the elderly. This toaster oven is equipped with smart technology and has a sturdy handle, making it easy to grasp even for fingers losing their deftness. It’s durable and offers a broad of cooking functions. It’s also easy to clean. 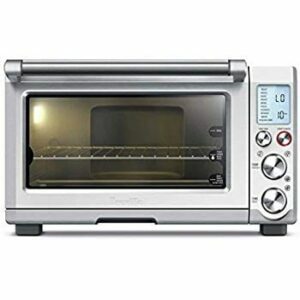 If you need the best pick of a toaster oven with convection, this Hamilton Beach can be a great choice for a reasonable price. This toaster oven can do everything for you from baking, toasting, and broiling. With a built-in convection fan, your foods will be evenly cooked. Different from other toaster oven products out there, the Easy Reach features a roll-top door which gives you easier access to the foods. There’s no digital display available. 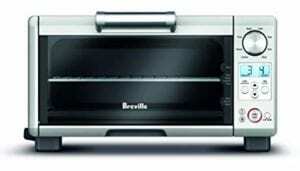 This is another best toaster oven offered by Breville on the list. Similar to the other Breville products mentioned above, this one also utilizes the Element IQ technology that allows your meals to be evenly cooked. This product also gains positive reviews on many websites. Some were impressed with how it broiled, roasted, and baked. It comes with a heavy-duty broiling pan. It’s a bit pricey and kind of difficult to clean. 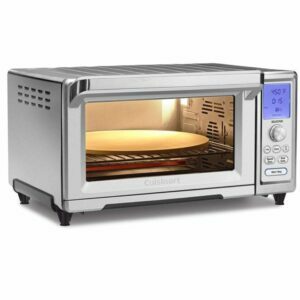 This Cuisinart CSO-300N1 is packed with every cooking function you can possibly need for a toaster oven. In addition to baking, broiling, convection heating, and toasting, this product also offers the power of steam. Besides, it also features 47-ounce reservoir, allowing you to cook amazingly healthy meals. It will be completely ideal for adventurous cooks who love to test out some different cooking styles. 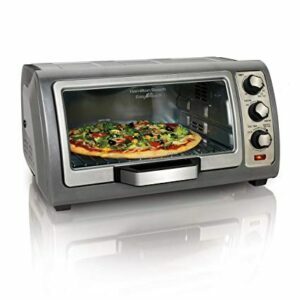 It offers a very complete feature for a toaster oven. It might be too pricey for someone who only wants to toast bread. This is the best option if you want to get some premium features without breaking your bank. It comes with a variety of settings and a sleek compact size, making it a perfect fit for any kitchen. Meanwhile, this machine is also super easy to clean thanks to the non-stick coating material inside. The other accessories are highly easy to disassemble as well for simpler cleaning. It comes with a fabulous stainless steel finish. It’s affordable, yet offers such complete features. You may find the product too small and light. That’s all the seven top toaster ovens that you can count on. Now, you can pick the best toaster oven out of the seven products that have been mentioned above. Good luck! The 7 Best Coffee Machines of 2019: You Must Buy One!